Anxiety is an issue that is all too common, but fortunately I am well versed in ways to help people find a sense of peace and calm again in their everyday lives through counseling. There are many ways anxiety can manifest in someones life, and at varying degrees of severity. It may be limited to specific fears or generalized to a constant buzz of nervousness. Anxiety can make daily tasks seem harder than they have to be and demand all of your courage to take steps forward. Sometimes it is completely paralyzing, so that you barely function at all. It may make you feel shaky, distracted, sleepless, or withdrawn. Some people turn to unhealthy ways to manage their anxiety, such as drinking, emotional eating, or isolating. More on this page coming soon! 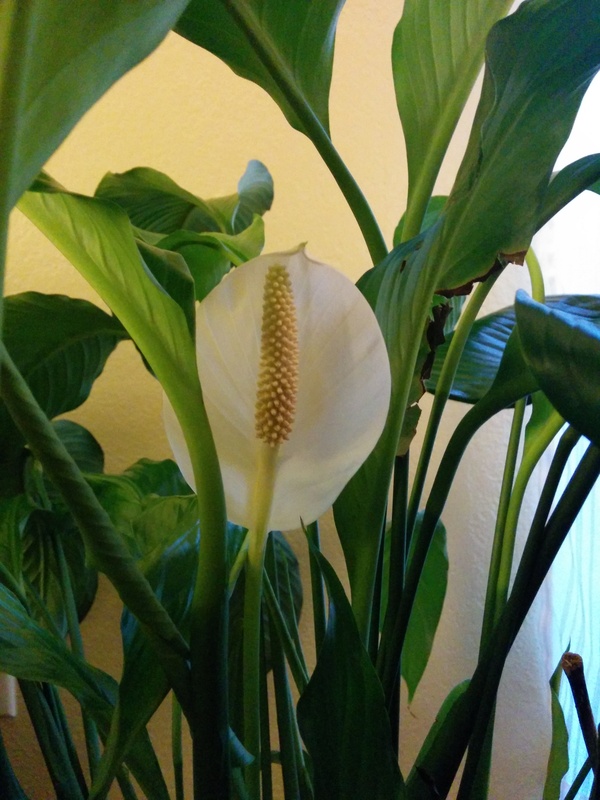 Peace Lily in my counseling office brings a bit of nature inside.